No filmmaker has probably tasted success the same way she did. She understands her place in the industry even as she remains relatively concealed from the curious lens. She leaves her mark by redefining the landscape. She’s the next big thing. She’s lovable when you get to know her. With four quality films released in just a span of one year, who wouldn’t? She leaves nothing to probability. Everything is either hard work or pure inspiration, at times, maybe even sudden pop of thoughts. A few years ago, while deciding on which elective to take in High School, she picks Painting. Then minutes before she hands over the payment to the cashier, she decides to shift to Video Production. She chickened out, just like that, but it turns out to be one of the decisions she admit to never regret, ever. Doing the Tadhana pose: Antoinette Jadaone with her partner in crime, Dan Villegas, director of English Only, Please. Her love for film making followed soon after. Fast forward to today, she is perhaps the most brilliant, definitely the most ambitious, and surely one of the youngest full-fledged filmmaker of our generation. Antoinette Jadaone, 30, has created a body of work that mostly tackles love –the kind that tugs your heart, cracks you wide open, and pinches you to wake you up from your slumber. Last October, her film Beauty in A Bottle was shown in theaters while in November, her two other films was shown simultaneously as well, Relaks, It’s Just Pag-ibig and That Thing Called Tadhana. By December, come Metro Manila Film Festival, the film English Only, Please was also screened, in which she co-wrote the script. All of which are well received by both the audience and critics. One trait common to Jadaone is the obvious signs of mainstream trappings in her work but she always manages to deliver with a different and exciting flavor. As most romcoms today feed the romanticized version of love that many people believe in and want to believe in the idea that everything leads to a happy ending; her films, specifically “That Thing Called Tadhana“, counters this flow, both through its visual works and the frankness of its screenplay. It tells you that love doesn’t always work out, but thankfully, sometimes it does. Or at least that’s how Jadaone makes us feel. Equipped with her wit and passion, she gives life to characters that inflicts the audience with something that resonates them deeply. Maybe love, maybe pain, or maybe both. But with all the recognitions she has been getting lately, let it be known that it’s not always sunny on this side of the planet for her. Before all these, she says that she also went through a lot. 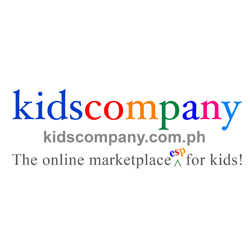 She started from the bottom as a production assistant trainee in an advertising production house, got humiliated by her superior, left the job to pursue film making, studied the industry by working under the likes of Joyce Bernal, tried doing some TV commercials, did some wedding videos, music videos, among other things. In return she lacked some days of sleep, earned under eye bags, and basically had a hard time earning money, just like most of us do. But she loves what she’s doing. She never gives up. Giving up was never a part of her plan. Every year, Jadaone’s name is often to be seen in the list of Palanca submissions but never in the winners list. This is frustrating, she admits, as it’s also one of her dreams to win that coveted prize one day. With her light of hope flickering at a dimmer shade, she submits another entry in Palanca 2014, this time for a different category – script writing. “Ever since talaga dream ko na magkaroon ng Palanca pero this year pinilit na lang ako ng kapatid ko, saying, tapos ko na naman yung script [ng dream film ko, ang That Thing Called Tadhana] kaya wala namang mawawala kung i-submit ko,” she confides. To lessen the burden on whether she wins or not, she decides to suspend expectations and started dreaming of something else –to one day be able to turn the script into a full feature film. After a few weeks, life surprises her with news saying that she won a Palanca. It is a rocky uphill from then on but it was worth it. She got to direct her dream film, it became an entry to Cinema One Originals film festival, the audience helped fulfill the financial obligations of acquiring the rights to Tita Whitney’s song, and the film also went on to become the audience choice award. Next week starting February 4, it will be shown nationwide, as distributed by Star Cinema. Others call it luck but we might call it, well, what else other than that thing called meant to be? 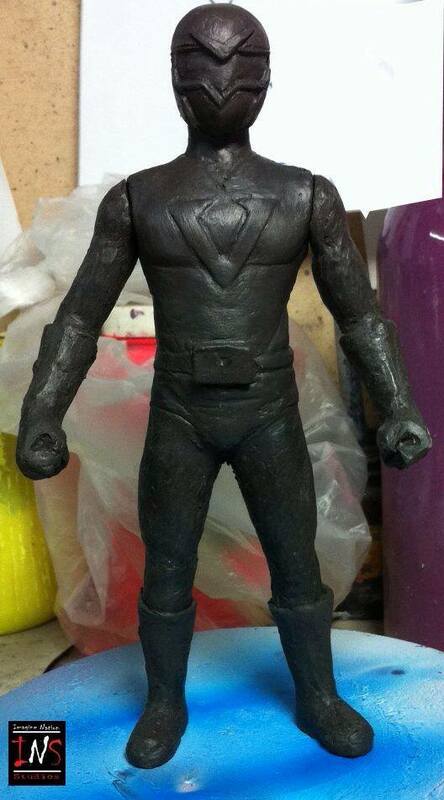 BLUE BUSTAMANTE Action Figure In The Works? 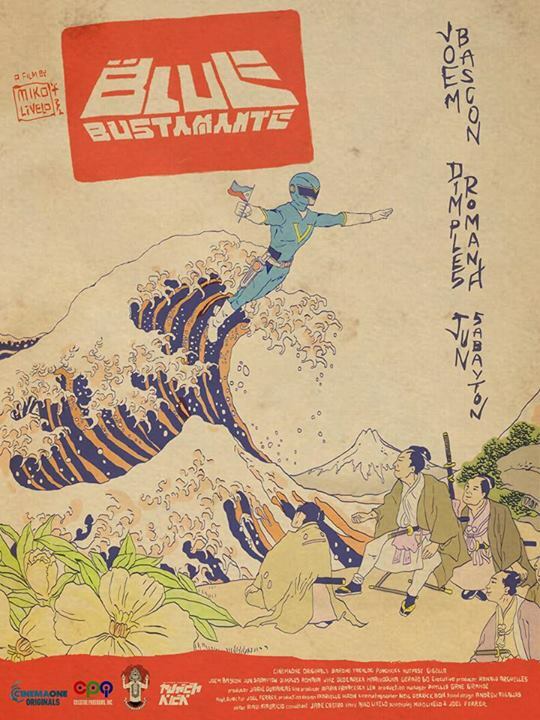 BLUE BUSTAMANTE Superb Dramatic Poster Revealed!